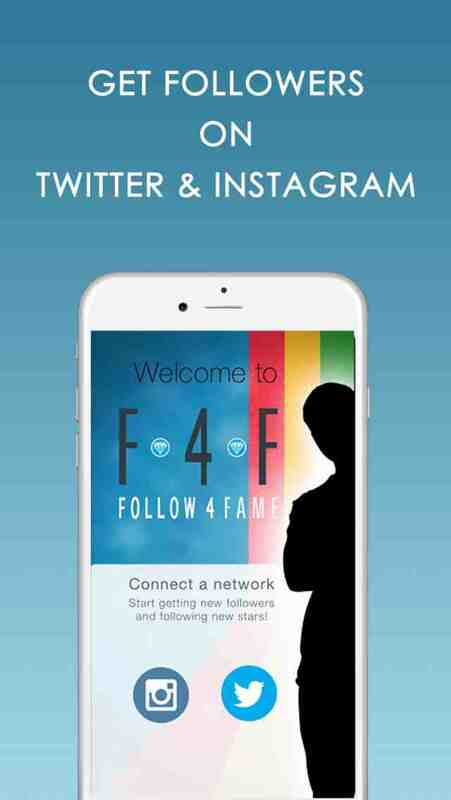 Follow4Fame helps you to get followers on Instagram and Twitter by spending tokens to get yourself featured on other user accounts. 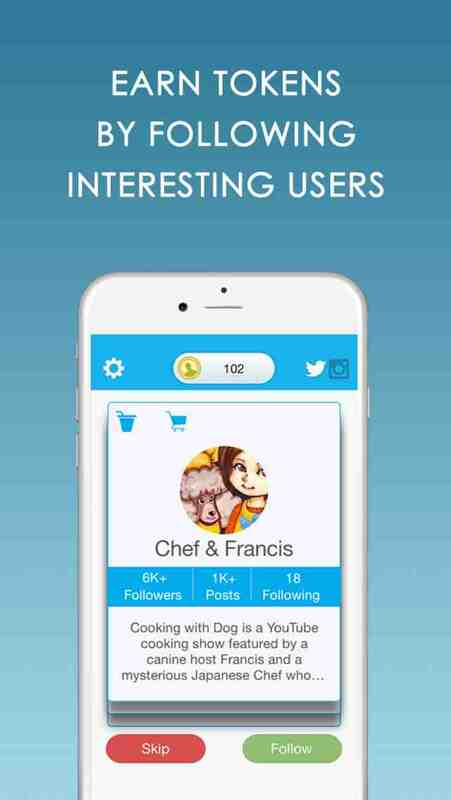 You can earn tokens by simply following other interesting users or buy them through in-app purchases to get more followers on your Twitter or insta account. You can browse quickly through accounts deciding to follow or skip users based on their profile pictures and descriptions. 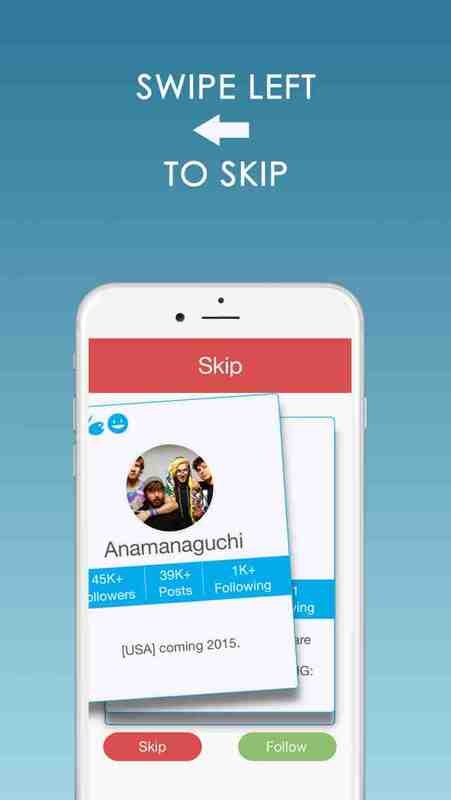 Simply swipe accounts to the right to follow or swipe to the left to skip. There are penalties for unfollowing someone too quickly which encourages users to choose who they follow more carefully. 3. Earn tokens by choosing to follow a featured account, watching videos or buy them through in-app purchases. 4. 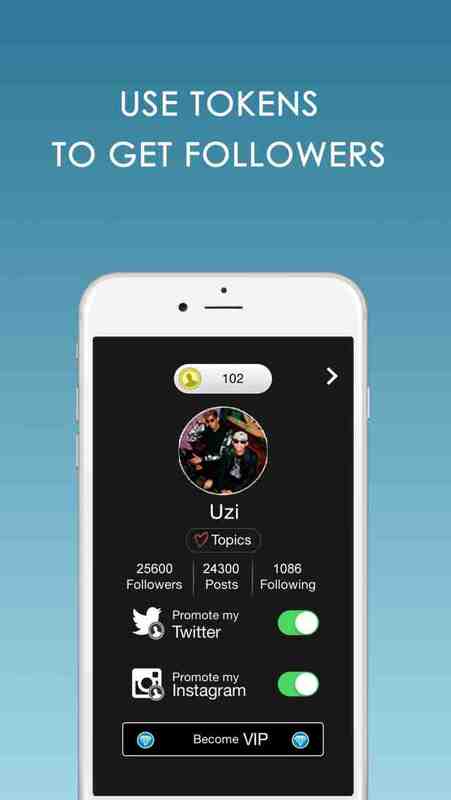 Spend tokens to get more followers in Instagram or Twitter. - Pop up notification when someone follows you. 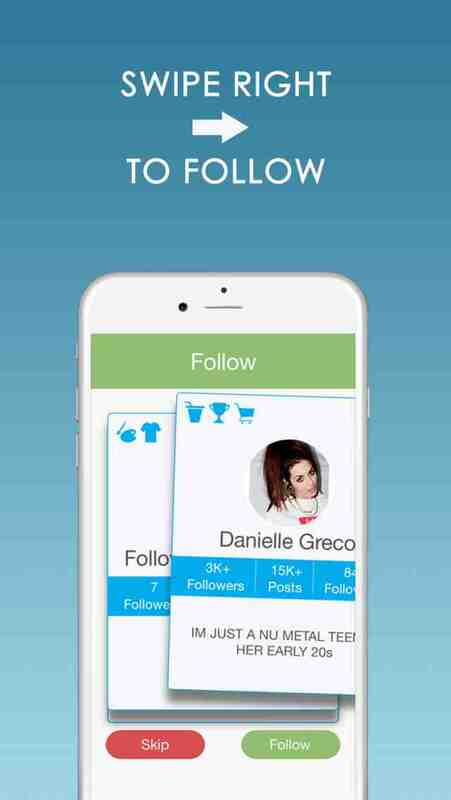 - follow4fame is a directory where users are classified based on what they post. We encourage you to only follow users you are interested in. We give you an opportunity to promote your account to our user community. It is up to the users to follow you or not. We cannot guarantee that other users will follow you, nor can we guarantee that users who followed you will not unfollow you later. The tokens system is intended to encourage other users to check you out and vise versa. We believe it is a fair way to encourage participation and activity.